FOX is headed to Sin City. 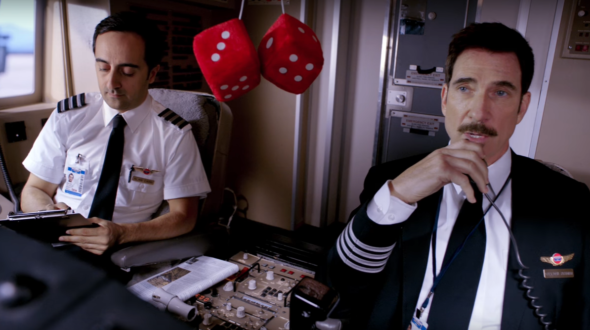 Today, the network released the first trailer for their new TV show LA to Vegas. From executive producers Will Ferrell and Adam McKay, the comedy “is an ensemble workplace comedy about an airline crew and the eccentric passengers who, every weekend, take the roundtrip flight from Burbank to Las Vegas with one goal in mind: to come back a winner.” The cast includes Ed Weeks, Dylan McDermott, Kim Matula, Nathan Lee Graham, Olivia Macklin, and Peter Stormare. What do you think? Are you a fan of FOX’s comedies? Will you check out LA to Vegas? More about: FOX TV shows: canceled or renewed?, LA to Vegas, LA to Vegas: canceled or renewed? Will definitely watch….need a bit of comic relief these days!